A 26-YEAR-OLD man has appeared in court in New Zealand charged with the murder of British backpacker Grace Millane. A scene examination yesterday took place in a section of bush on Scenic Drive, a countryside road on the outskirts of Auckland. The area was identified as a location of interest by police. Shortly after 4pm local time yesterday (3am Irish time) police located a body which they believe to be Millane. Police have said the examination of Scenic Drive is ongoing and will continue tomorrow. A post-mortem examination will be carried out today. However, police will not be releasing the results of the examination. On Saturday, police confirmed that a 26-year-old man is to be charged with her murder. He has since appeared in Auckland District Court and has been granted interim name suppression. He was not required to enter a plea and was remanded in custody until 23 January. New Zealand Prime Minister Jacinda Ardern today offered a heartfelt apology to the family of Millane. Her voice cracking with emotion, Ardern said there was a collective feeling of shame in the South Pacific nation over the fate of Millane. “There is this overwhelming sense of hurt and shame that this has happened in our country, a place that prides itself on our hospitality, on our manaakitanga,” she said, using the Maori word for welcoming others. So on behalf of New Zealand, I want to apologise to Grace’s family – your daughter should have been safe here and she wasn’t, and I’m sorry for that. Ardern told reporters at her weekly media conference that New Zealanders were heartbroken for Millane’s family and were feeling her death personally. 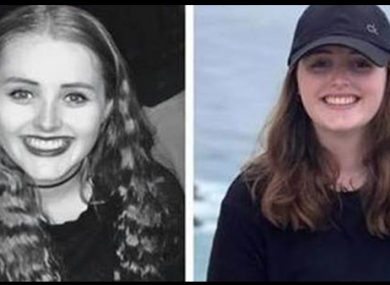 Millane’s father David flew to New Zealand after she went missing and issued an emotional appeal for information relating to his “fun-loving, outgoing and family-orientated” daughter. Yesterday, police released two photographs of a 2016 red Toyota Corolla hatchback. The car was hired from a central Auckland rental company. The force has since received a number of calls from people with information about the car. Police are still appealing for anyone who travelled along Scenic Drive on Monday 3 December between 6.30am and 9am to come forward. The car was rented for a 24-hour period and was returned to a central Auckland rental company on Monday at lunchtime. Police also wish to hear from anyone who walked along Scenic Drive, or who parked in the Waitakere Dam carpark during this time. Comments have been closed as a person has been charged. Email “Man appears in court charged with murder of British backpacker Grace Millane”. Feedback on “Man appears in court charged with murder of British backpacker Grace Millane”.